It’s that time of year, when children everywhere start thinking about what they want for Christmas. If you watch Saturday morning commercials or other advertisements directed toward children, you’ll see a very gendered approach to marketing toys. Even in toy stores, toys are clearly delineated into blue and pink sections. Want to guess what’s in each section? The pink/girl section is full of doll houses, babies and baby care products, Barbie’s and play cleaning products. The blue/boy section is full of cars and other forms of transportation, sports equipment, and action figures. What about toys that both boys and girls like to play with, like Lego’s, Lincoln Logs, and other building and craft making equipment? For one thing, unfortunately, these toys are often in the boy aisle. What’s very interesting to me, as the mother of daughters, is that when I do see those products in the “girl” section, they are marketed in a distinctly different way. As an example, I found ads for Moon Sand, a moldable, buildable material. My daughters and the boys their age all like Moon Sand. But, here’s what’s weird about the way that it’s marketed, for boys it’s sold as a way to build new lands and create new things. For girls it’s sold as a way to pretend to be cooking, baking, and playing with dolls. Girls don’t also like to create and build new things? Boys don’t like to bake and play with people figures? And we have Lego’s Friends Line. In this article in Bloomberg Businessweek, it is clear that Lego’s has done exhaustive work trying to understand what has kept girls from playing with them before and what would make Lego’s more attractive to girls. As my friend, Michele, from Princess Free Zone made clear in her excellent post on this topic, perhaps girls don’t see Lego’s as attractive because since 2005, as stated in the Business Week article, the company has been aiming straight at boys. Hmm….maybe girls don’t really have to have pastel colored blocks, curvier minifigures, and hair salons to build. Perhaps,they just need to actually see ads featuring girls playing with these toys. Perhaps, girls simply have been shown very clearly one too many times that this product is “for boys.” Perhaps, girls have been so inundated with this idea that everything has to be gendered that they have bought it hook line and sinker. Girls used to play with Lego’s without there having to be any discernible differences. 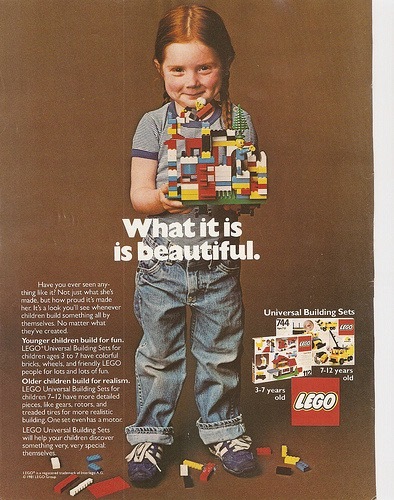 As this Lego’s ad from the 80’s shows, the company promoted the product to both girls and boys as fun building sets. Listen, girls like to build! I interviewed 5 young women at a high school for technology, math, and science who were all in the robotics club and went to competitions with the robots that they had built. I’ve watched elementary, middle and high school aged girls participate in STEM (science, technology, engineering, and math) and robotics camps. And here’s something you need to know, none of the pieces these girls used to make robots or machines were pastel colored. These girls loved building their robot or machine because they like using their minds to solve problems and create things, just like the boys in their classes, and they didn’t need it to be color coded to enjoy it. In this season, some of the most outrageous examples of gender stereotyping in toy marketing are evident. 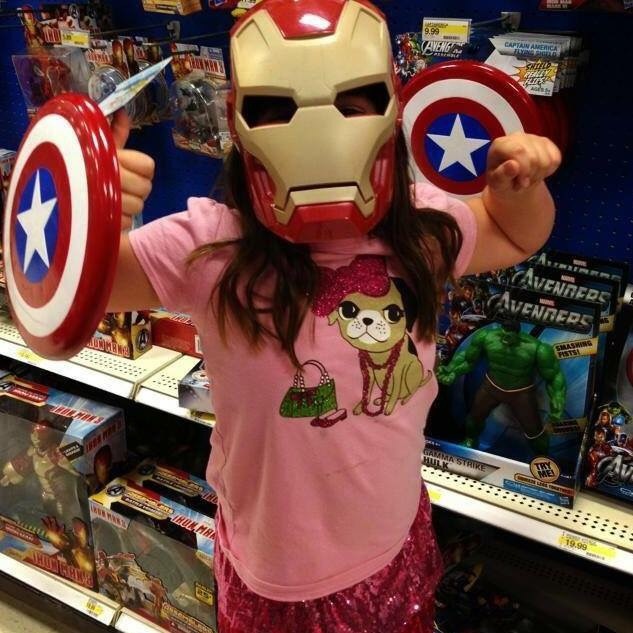 When we restrict our children to narrow gendered interests and activities, we short change them. They aren’t allowed the fullest expression of their own true selves when they’re put in little pink and blue boxes. Let’s throw those boxes out, and let children experience the wide range of who they can be and who they can become. 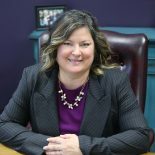 This entry was posted on December 18, 2015 by Jennifer Shewmaker in Acting, For Teens and Tweens and tagged gender stereotypes, media and kids, no gender December.